Latin "Bien veniste" and Spanish Bien venida = welcome (or Bien viniste = your arrival was good). 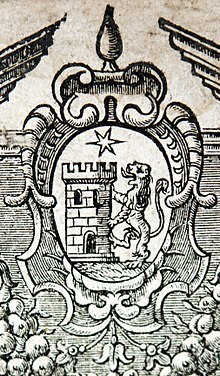 Benvenist (in Catalonia), Benveniste (in Castile), Bemvenist and Bemvenista (in Portugal), Benvenisti (in Italy), Beniste or Benisti (in North Africa), Bienveniste, Benbeneste, Beneviste, Benvenista, Benvenisto, Ben-Veniste. Benveniste, is the surname, byname (see below - the origin of the name) of an old, noble, rich, and scholarly Jewish family of Narbonne, France and northern Spain from the 11th century. The family was present in the 11th to the 15th centuries in Hachmei Provence, France, Barcelona, Aragon and Castile Spain. Family members received honorary titles from the authorities and were members of the administration of the kingdom of Aragon and Castile. They were the Baillie ("Bayle") - the Tax Officer and Treasurer, Alfaquim - Senior Advisor to the King and Royal Physician in Barcelona and Aragon in the 12th and 13th centuries. They held the title of "Nasi" (prince in Hebrew), since they are considered by the Jewish tradition as descendants of King David and members of the House of David in the Jewish communities (mainly Barcelona) and were prominent religious and secular leaders in the 11th to the 14th centuries. In the 14th to the 15th century they held the titles of "Benveniste de la Cavalleria"—"of the knights" (a name given by the Knights Templar to their treasurers and tax collectors) and Don—a noble person in Aragon and Castile. In the aftermath of the massacres of Jews which began in Spain on 6 June 1391 some such as the de Cartagena family converted to Christianity and became powerful conversos in Burgos. After the expulsion of the Jews from Spain in 1492 non-converts were dispersed mainly to Portugal, Greece - Salonica other parts of the Turkish Empire and North African countries. In Portugal they were forced to convert to Christianity in 1497 and became some of the richest traders and bankers (the Mendes family) of Europe. Today the name is borne by families in Europe, the Americas, Asia and Israel. It was also used as a prænomen. The origin of the name according to a family legend told to David Benvenisti, a prominent Israeli scholar, by his grandfather Benvenisti Shemuel Yosef, a prominent Jewish leader in Salonica, in the beginning of the 20th century is: "When our forbearers dwelt in Spain, one of the kings had a Jewish finance minister who also served as royal physician. He was also known as an expert in flora, particularly medicinal plants. Once, the king, accompanied by his Jewish minister, went for a stroll in the fields near the palace. The minister told the king about every plant. The king was especially fascinated by the malva and its pink and violet blossoms. When the king asked what the flower was called and what it was used for, the Jewish minister replied that its petals were cooked and eaten, and it was called "bienva." At this time one of the ministers, a sworn enemy of the Jewish minister, burst into laughter, and said to the king: "Your Majesty, that Jew-minister expert in our country's flora was making fun of you. He deliberately gave you a wrong name for that flower in order to embarrass you before your ministers and viziers. That is not a ‘bienva,’ but a ‘malva’." The king angrily asked the Jewish minister to explain, threatening him with dire punishment. The minister said: "Your Majesty, I am ready to accept your judgment. But first, I beg you, hear me out carefully. Your Majesty, when we were out in the field, you asked me to tell you the name of that plant. There you were, standing before me, Royal Highness, and I thought: By no means am I going to offend Your Majesty by telling you the plant's true name, ‘malva’ – ‘ill-going’! So I told you that the plant is called ‘bienva’ ‘well-going’!”. The king was mollified, and he said to the Jewish minister: “You have vanquished those of my ministers who wish you ill. I am pleased with your explanation. And to commemorate this occasion, I hereby; dub you bien veniste (‘Benveniste’) or 'your arrival was for good'”. The first appearance of the name Benveniste was in the 11th century in southern France (Septimania, Provence of our time). 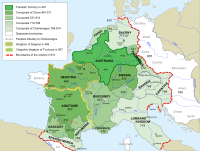 The region was shaped by Charlemagne from the Frankish Kingdom of the Carolingian. The big Narbonne Jewish center was established, according to Jewish and Christian sources, by prominent Jews from Bagdad at the request of the Carolingian kings in the end of the first millennium AD. The Babylonian names of Makhir, Hasdai, Sheshet and Shealtiel are the names of chief rabbis and leaders - Nasi (considered by the Jewish tradition as descendents of King David) of the Jewish center. The Jewish families assisted the Christian administrations of the Kingdom of Aragon and the County of Barcelona as tax collectors and advisers. In 1150 Aragon and Barcelona were united by the marriage of their rulers. The Jewish families appear together with the name Benveniste in official and Jewish documents of Narbonne, Barcelona and Aragon from the 11th-13th century AD with the title Nasi added to their names. They appear in the travel books of Benjamin of Tudela from the 12th century. Isaac ben Josef iben Benveniste Nasi, was called Iben Barun, (c. 11th century). Hebrew grammarian, lexicographer and a poet. He lived in Saragossa (during the Islamic era) and Málaga and associated with the poets Moses ibn Ezra and Judah Halevi. Isaac Benveniste Nasi the physician of the king of Aragon that came to Spain from Narbonne France in the 12th century. The father of Sheshet Benveniste Nasi. Sheshet Benveniste Nasi, (c.1131-1209). He was a physician, writer, a political advisor and a diplomate to the kings of Aragon. He came to Spain from Narbonne France with his father in the 12th century. Sheshet received his education at Narbonne, his probable birthplace, afterward he lived at Barcelona, and later at Saragossa, in which city he died. He practiced medicine, and was the author of a medical work, manuscript copies of which are still extant at Oxford and Munich. Such was his reputation as a physician that patients came long distances to consult him. Isaac ben Joseph Benveniste Nasi (died 1224), physician of the king of Aragon. He was the leading figure in the representative congresses of the Jewish communities convened at Montpellier and Saint-Gilles in 1214 and 1215 to consider protective measures in view of the approaching Lateran Council . Subsequently, he secured for the Aragonese communities a temporary suspension of the obligation to wear the Jewish badge. Vidal Benveniste de Porta (died 1268), Jewish Bailie ("bayle") - the tax officer and treasurer of Barcelona, Girona and Lerida, Spain. His brother was Bonastruc ça (de) Porta, Nahmanides, (in Hebrew Ramban), also known as Rabbi Moses ben Nahman Girondi. (1194–1270). He grew up, studied and lived in Girona. He was a leading medieval Jewish scholar, Catalonia rabbi, philosopher, physician, kabbalist, and biblical commentator. He participated in 1263 in the Disputation of Barcelona before King James I of Aragon. Vidal Benveniste (de la Cavalleria) was a prominent Spanish Jewish scholar who lived in Saragossa (the capital of Aragon) in the beginning of the second half of the 14th century and the beginning of the 15th century. The honor ' Benveniste de la Cavalleria', according to the Encyclopaedia Judaica, was given to the family by the Knights Templar who protected the family and the family in turn administered the tax system of the Templars. His family was connected to the development of the town of Saragossa in the 14th century, and members of the family Benveniste de la Cavalleria were financiers of the local kings. He was elected, by the notables of the Jewish communities of Aragon, as the speaker before the pope at the beginning of disputation of Tortosa (1412). Abraham Benveniste (Bienveniste) (died in c. 1450) of Soria and Toledo, Spain. Statesman and chief rabbi (or "court rabbi") of Castile during the reign of Juan II, (1406–54). He was also entrusted with the public finances of the kingdom together with Yosef Nasi. Under the presidency of Benveniste a Jewish synod in Valladolid in 1432 drew up a statute called the "Takḳanoth," which was to serve as a basis for the administration of the Jewish communities in Spain. It dealt with the divine service, with the glorification of the study of the Law, with state taxation, and with the welfare and progress of the communities. Vidal Benveniste (de la Cavalleria) grandson of Abraham Benveniste was a prominent and a wealthy man in Spain in the second half of the 15th century. Together with his brother Abraham  they negotiated a compact with the King of Portugal to allow 120,000 of the Jewish exiles from Spain in 1492 to stay in Portugal for six months. The Jewish exiles had to pay one ducat for every soul, and the fourth part of all the merchandise they had carried with them when they entered Portugal. Solomon ha-Levi (de la Cavalleria) was the most wealthy and influential Jew of Burgos, an erudite scholar of Talmudic and rabbinical literature, and a rabbi of the Jewish community. His father, Isaac ha-Levi, had come from Aragon to Burgos in the middle of the fourteenth century. He converted in the aftermath of the great massacres of Jews which began on 6 June 1391 and changed his name to Paul of Santa Maria. His intelligence and scholarship, as well as his gift of oratory, won the praise of Isaac ben Sheshet and also gained for him the confidence of King Henry III of Castile, who in 1406 appointed him keeper of the royal seal. In 1416 King Henry named him lord chancellor. After the king's death Archbishop Paul was a member of the council which ruled Castile in the name of the regent Doña Catalina, and by the will of the deceased king he was tutor to the heir to the throne, the later John II of Castile. His family and descendants used the last name de Cartagena and became the most powerful converso family in late-medieval Spain. Francisco Mendes (Tzemah Benveniste in Hebrew) one of the wealthiest traders and bankers in Europe in the first half of the 16th century. He was the great grandson of Abraham Benveniste. His family was forcibly converted Jews known as Conversos (also called Crypto-Jews, Marranos and Secret Jews). While still Jewish, they had fled to Portugal when the Catholic Monarchs, Queen Isabella I of Castile and King Ferdinand II of Aragon, expelled the Jews in 1492. Five years later, in 1497, they were forcibly converted to Catholicism along with all the other Jews in Portugal at that time. Francisco Mendes|Benveniste directed, along with his brothers Diogo Mendes (Meir Benveniste) and Goncalo Mendes, from Lisbon and later from Antwerpen, a powerful trading company and a bank of world repute with agents across Europe and around the Mediterranean. The House of Mendes|Benveniste probably began as a company trading precious objects. Following the beginning of the Age of Discovery and the finding, by the Portuguese, of a sea route to India, Goncalo Mendes financed ships (and possibly participated) in the Vasco di Gama missions. They became particularly important as one of the six families that controlled the spice trade in the Portuguese India Armadas (the kings of black pepper). They established with the other families a trading post in Antwerpen from where they controlled the distribution of black pepper in Europe. They also traded in silver - the silver was needed to pay the Asians for those spices. They financed the kings and queens of Portugal, Spain, England, the Flanders and the popes in Rome. Beatriz de Luna - Gracia Nasi - Benveniste - Mendes (1510–1569) (Dona Gracia) a Marrano-Jewish-Portuguese businesswoman. She was the daughter of Philipa Mendes|Benveniste and Alvaro de Luna. She was married to her uncle Francisco Mendes (Tzemah Benveniste), inherited the Mendes|Benveniste fortune and due to her exceptional business acumen, became one of the wealthiest women in Europe of the middle 16th century. She returned to Judaism in Ferrara in the 1552 together with members of the He(E)nriques|Nunes(nuñez)|Benveniste family (Meir, Abraham and Reina Benveniste). In 1553/4 she left Ferrara together with her daughter Ana (Reyna), (soon to be) son in law Don Joseph Nasi and the Henriques|Nunes|Benveniste family to Salonika and Istanbul where they settled at the invitation of Sultan Suleiman I. They were very active in trade, finance and in local and international Jewish life. Judah Benveniste and Don Samuel Benveniste Sons of Meir Benveniste of Toledo. Grandsons of Don Abraham Benveniste the court rabbi of Castile. They immigrated to Salonica in 1492 with other Jewish Spanish exiles, and with them they founded the Sephardic community in that city. They succeeded in preserving a share of their great patrimony sufficient for the purchase of a large collection of books. Several experienced scribes were always employed in copying the Mishnah, the Talmud, and other works at their homes, which was the center of the scholarly Spanish exiles. Vidal Benveniste From Aragon settled in Constantinople after the expulsion from Spain in 1492. A writer of a book published in 1512. Moses Benveniste (second half of the 16th century). The physician of the Grand Vasir Siavouch Pasha in Constantinople. Political advisor and diplomate. Negotiated peace with Spain. Died in exile in Rodes. Chaim Benveniste (1603–1673), Brother of Joshua, rabbinical authority at Constantinople and later at Smyrna. Immanuel Benveniste (1608–1664) a notable printer from Amsterdam that printed many books in Hebrew among them the Bible and the Talmud. He was from Venice. Indirect information point to his origin as a Crypto-Jew that converted back to Judaism and possibly as a member of the Mendes|Benveniste family from Venice (see Dona Gracia Mendes Nasi). David Benvenisti, (1897-1993), from Salonica and Jerusalem, Israeli educator and geographer, Israel Prize recipient. The father of Meron Benvenisti and Refael (Rafi) Benvenisti and grandfather of Eyal Benvenisti. Meron Benvenisti (born 1934), Israeli historian and journalist. Refael (Rafi) Benvenisti (born 1937), Israeli economist, brother of Meron. ^ "The Origin of the name Benveniste". . Benvenisti D. 'From Saloniki to Jerusalem - Chapters in Life', 1984. Testimony of Meron, Refael and Eyal Benvenisti. ^ a b "narbonne". Retrieved 2012-02-18. ^ a b "Encyclopaedia Judaica". Retrieved 2012-03-24. ^ "Baer - A History of the Jews in Christian Spain Vol II, p. 57". Archived from the original on 2010-06-11. Retrieved 2012-02-09. ^ "Baer - A History of the Jews in Christian Spain Vol II". Archived from the original on 2010-06-11. Retrieved 2012-02-09. ^ "Benveniste - Jewish Encyclopedia". Retrieved 2012-02-09. ^ "Baer - A History of the Jews in Christian Spain Vol. II, pp. 259-270". Archived from the original on 2010-06-11. Retrieved 2012-02-09. ^ "Baer - A History of the Jews in Christian Spain Vol II, p. 317". Archived from the original on 2010-06-11. Retrieved 2012-02-09. ^ "Jewish History Sourcebook: The Expulsion from Spain, 1492 CE". Retrieved 2012-02-09. ^ "Antwerpen - Jewish Encyclopedia". Retrieved 2012-02-09. ^ Birnbaum, Marianna D (2003). The Long Journey of Dona Gracia. ISBN 9789639241671. Retrieved 2012-02-09. ^ "Mendes - Jewish Encyclopedia". Retrieved 2012-02-09. ^ Leoni, Aron Di Leone (2005). The Hebrew Portuguese Nations In Antwerp And London. ISBN 9780881258660. Retrieved 2012-04-08. ^ Rosanes S.A., Histoire des israelites de turquie, Sofia 1934. ^ Fuks, Lajb; Fuks-Mansfeld, Renate G (1984). Fuks & Fuks-Mansfeld - Hebrew typography in the Northern Netherlands, 1585-1815. ISBN 9004070567. Retrieved 2012-02-23. This article incorporates text from a publication now in the public domain: Singer, Isidore; et al., eds. (1902). "Benveniste". The Jewish Encyclopedia. 3. New York: Funk & Wagnalls. p. 38. This page lists people with the surname Benveniste, Benvenisti, etc.. If an internal link intending to refer to a specific person led you to this page, you may wish to change that link by adding the person's given name(s) to the link. This page was last edited on 4 March 2019, at 15:18 (UTC).